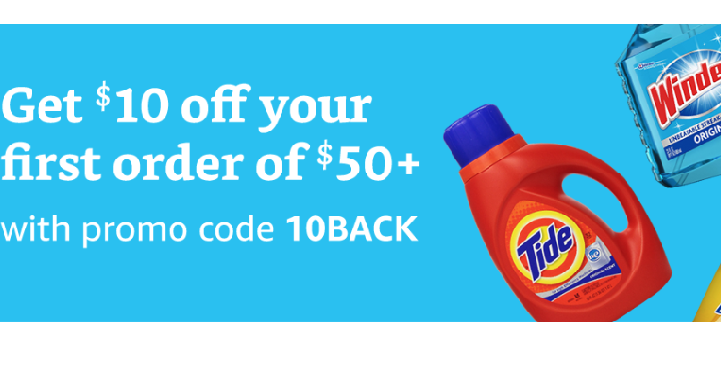 Prime Pantry: Take $10 off Your $50 or More Purchase! If you haven’t shopped Amazon’s Prime Pantry before, now is the time to do it. You can take $10 off your first order of $50 or more with coupon code 10BACK at checkout. You will receive an email no later than 10 days after successful order completion letting you know a a $10 promotional credit for your NEXT Prime Pantry order has been applied to your account. Limit one per customer. This is a great way to get those household essential shipped right to your home.